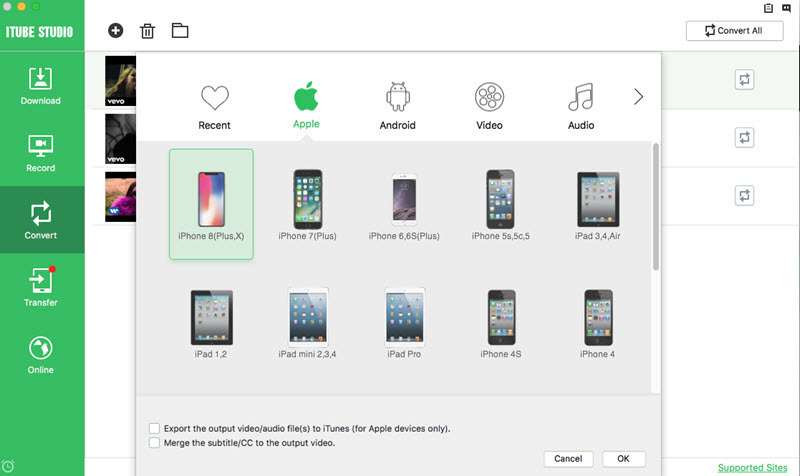 To save your time and trouble, iTube Studio for Mac provides a list of useful presets: Apple Devices including iPad, iPod, iPhone (iPhone 4S included), Apple TV, etc. 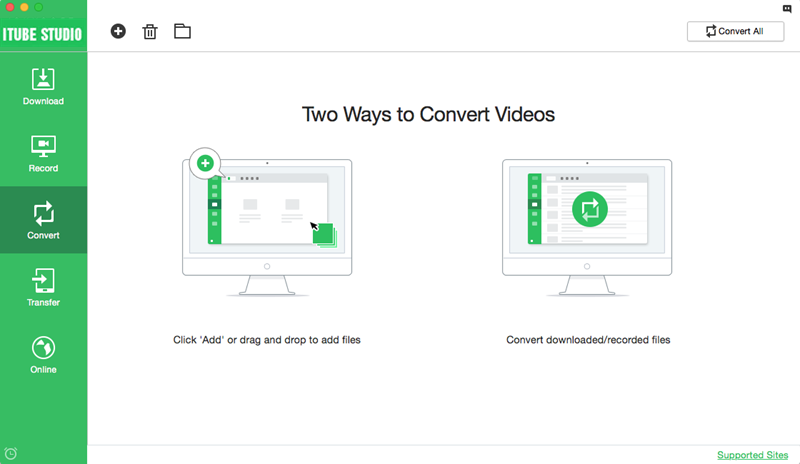 Navigate to the “Convert” tab and you can have 2 ways to convert the videos to other formats or devices. You can add downloaded and recorded videos to the "Convert" tab from the "Download" and "Record" tab. Or you can import your desktop videos to the "Convert" tab. And click on the “Apple” tab to choose your target output device. You can choose iPhone, iPad, iPod, Apple TV and others. And you can also check the “Export the output video/audio to iTunes” option, so that the output video can be exported to your iTunes library. And you can sync the video to your iPhone and other Apple devices. When you finish the settings, click “OK” to start the conversion. After that, you can video the converted videos in the “Downloaded” tab or find them in your iTunes library.